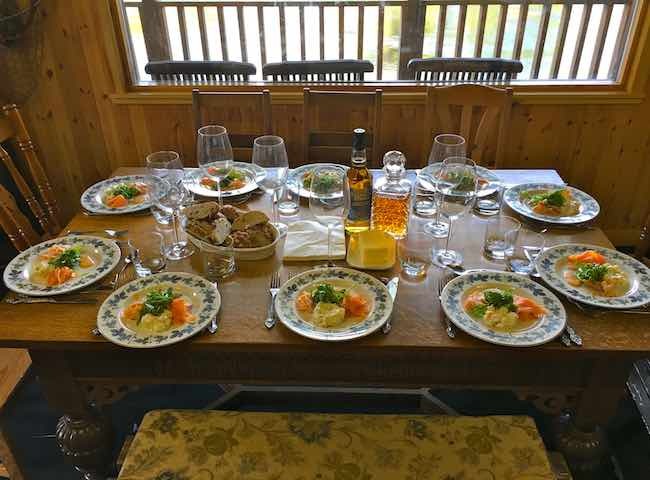 Here's a fantastic culinary scene from a luxury River Tay salmon fishing hut moments before the fishing guests appear at the end of their morning salmon fishing session. 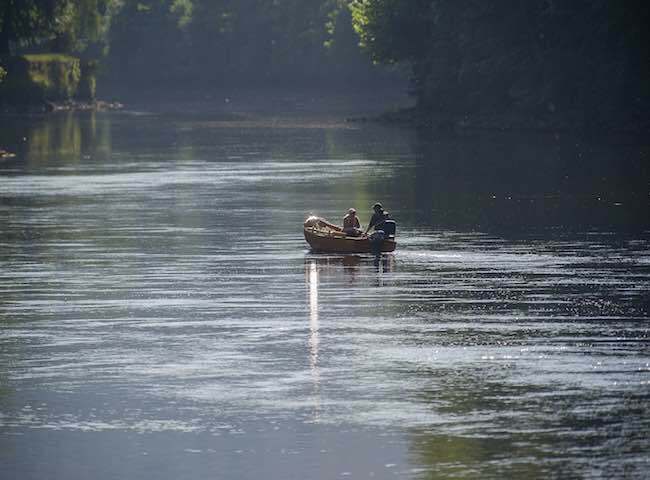 There's real natural magic to be experienced while out on the River Tay in a traditional hand built salmon boat or while fishing from its beautiful natural riverbanks. There's nothing more amazing & hypnotic in the natural world than being out in the brilliance of the mighty River Tay with a double handed salmon fly rod in your hand. Place a fine fresh run wild Atlantic salmon photograph on your office wall as a reminder of a special day on the River Tay where you were taught effective Scottish salmon fishing skills. 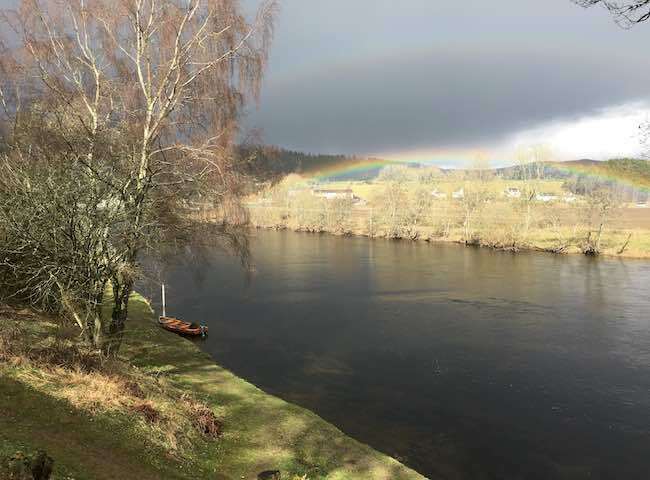 Here's a lovely shot from the River Tay near the town of Pitlochry. The scenery from the Tay's riverbanks has an impact on all visiting salmon fishers and during all months of the fishing season. 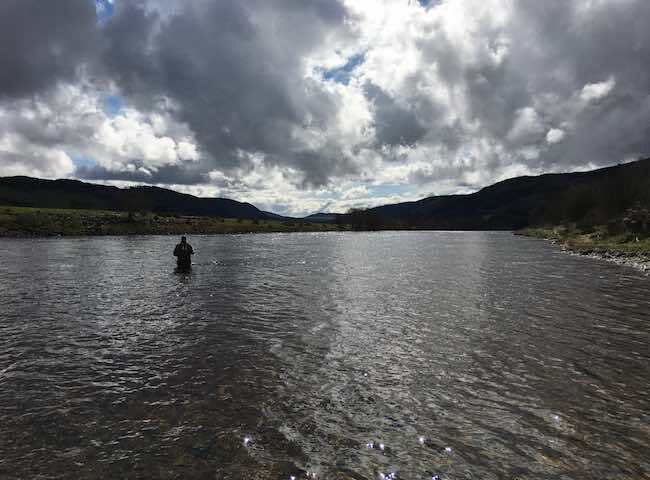 There's nothing in the entertainment world that's finer than being out on the beautiful banks of the River Tay while learning the traditional Scottish Spey cast before catching your first salmon. Bring your associates to a real environment where they can sense the ancient hunting skills that played a part in our very evolution. 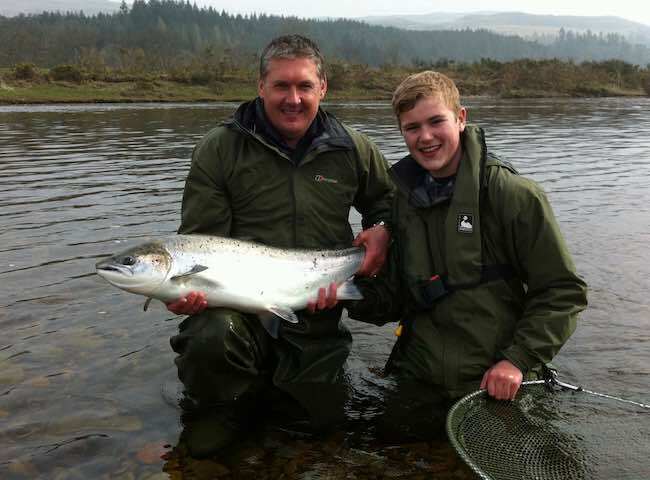 Book a fully guided & instructional salmon fishing event on the River Tay. 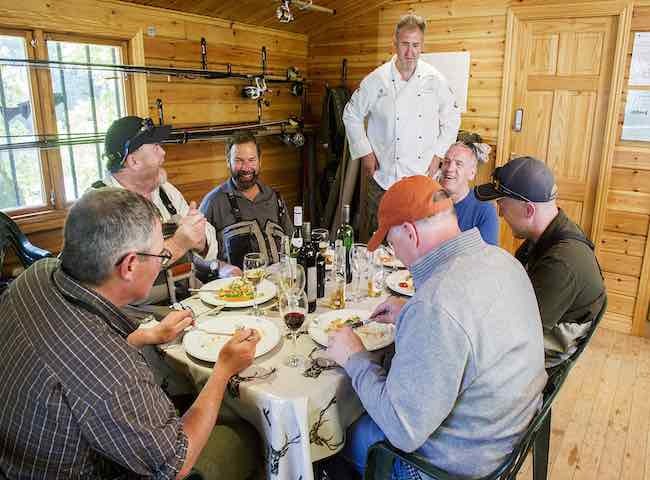 Here's a lovely shot of yet another 'Michelin starred' chef lunch being delivered by leading Scottish chef Jeremy Wares to a few of our recent salmon fishing event guests. 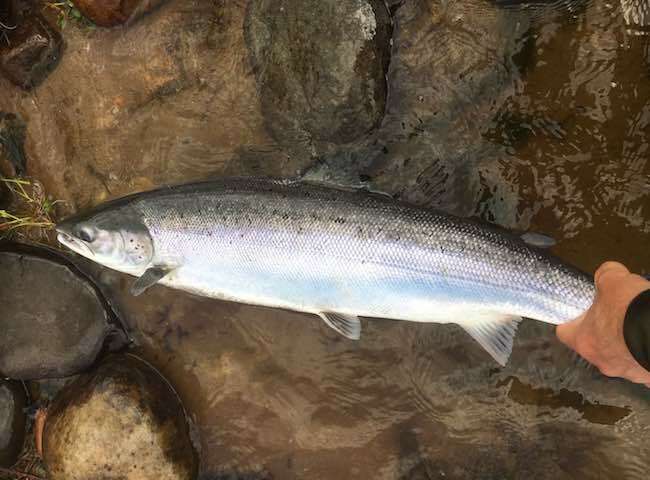 The sheer quality of a River Tay Spring salmon has to be witnessed to be truly believed. This fine photogaph will give you a good idea of exactly what I'm referring to. 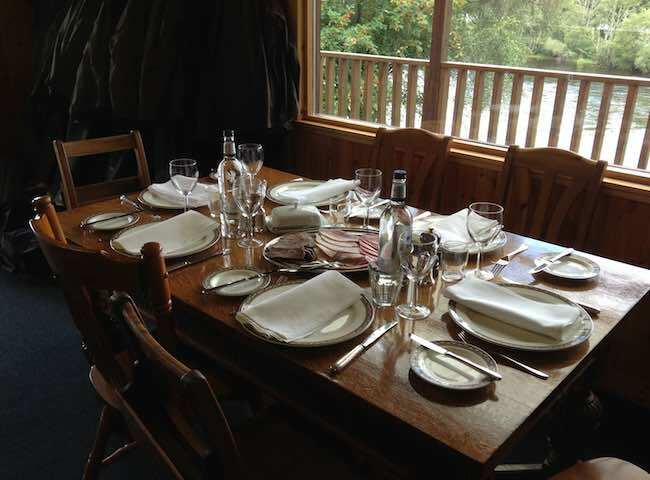 Great cuisine tastes even better when overlooking Scotland's most majectic salmon fishing river. 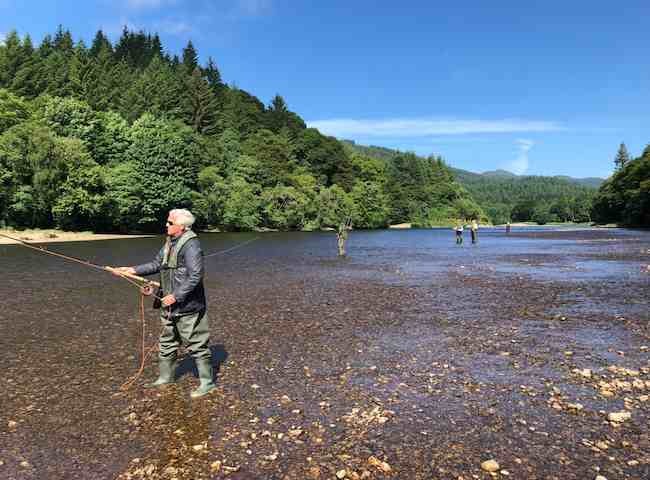 Treat your associates to a River Tay salmon fishing event in 2019 and introduce them to the natural world. 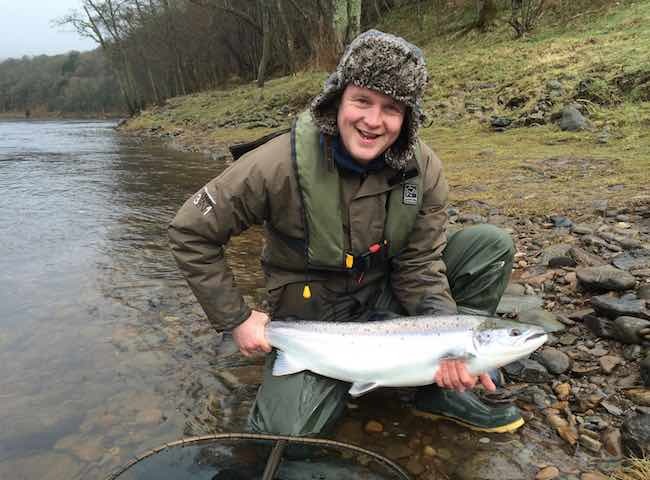 Here's another fine example of a perfect fresh run Spring salmon from the River Tay. 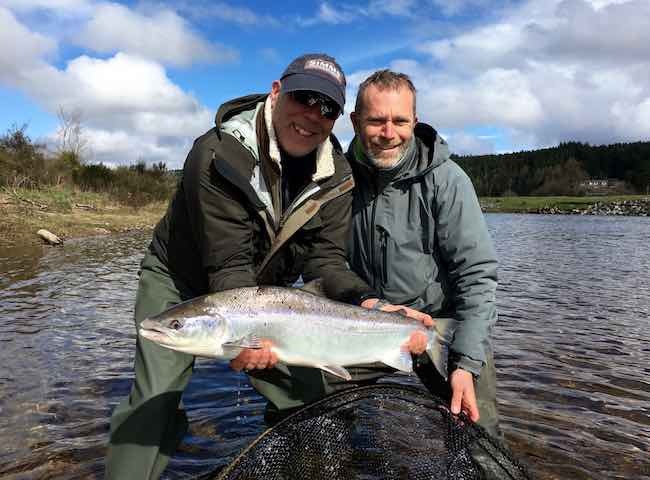 These fine fish are widely regarded as the ultimate prize in Scottish salmon fishing.